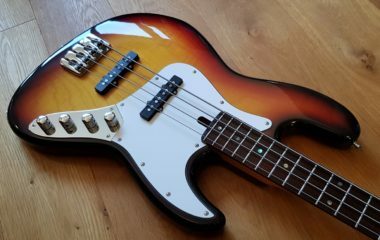 This is a superb vintage bass, in fantastic, all original condition. It has a lacquer crack coming from the jack socket (Common with these, the last Roadie I had in was the same, and obviously its not structural) but other than that very hard to fault. The neck is arrow straight, it plays and sounds great up and down the neck, and all electrics work as they should. Probably one of the best available. 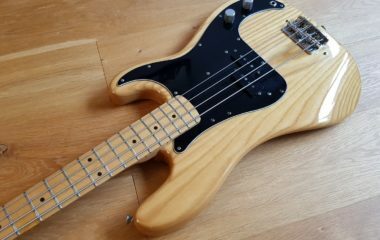 The pictures show the bass as being more cherry in colour than it really is, but it’s absolutely as clean and shiny as shown in the photos. It has all the regular electronic features that you would expect, but with the enhancement of active/passive/series/parallel switching modes etc. Also it has the rotary graphic EQ, coupled with its SN2000 pickups, so you can still obtain all the same sounds as with the MK models.